As natur­o­path­ic doc­tors we are very lucky to be trained in mul­tiple meth­ods of phys­ic­al (and emo­tion­al sup­port). One of these is herb­al medi­cine, and herb­al medi­cine is a dis­cip­line that can help with so many con­di­tions… it makes me very excited to be able to use and treat with herbs every day. The neat thing about herbs is that because they are liv­ing things (or are at the time of pro­cessing), their chem­ic­al struc­tures are diverse and mim­ic the diversity of our bod­ies for a mul­ti­tude of con­di­tions. For most, this means an easi­er accept­ance of herb­al medi­cine by the body and an abil­ity to move it on mul­tiple levels. To help with your under­stand­ing, let’s use the adren­al gland as an example. The adren­al glands are very import­ant glands. Not sure what they are? These little glands on top of both kid­neys are major hor­mone centres, and are a part of the endo­crine sys­tem. Panax gin­seng (Chinese and Korean) — Stimulating and gives the adren­als a good kick-start! Not great for anxious and tired types. Panax quinque­fo­li­us (American gin­seng) — Long-term sup­port of the adren­als and immune sys­tem, a bet­ter herb for long-term adren­al sup­port. Holy basil — Tired and wired? Holy basil is holy indeed. Rhodiola rosea — Anxious and exhausted? 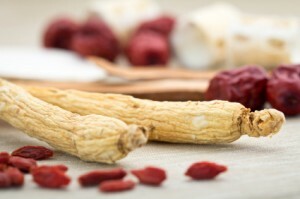 Great herb for women who exper­i­ence adren­al fatigue and anxi­ety with instabil­ity of their men­stru­al cycles. Astragalus mem­branaceous — Truly bal­ances the aspects of adren­al stress sup­port with the abil­ity to sup­port the immune sys­tem and pre­vent fre­quent colds and flu that can hap­pen in long-term adren­al stress. Withania som­ni­fera or Ashwagandha — For a truly withered indi­vidu­al who feels like they must be scraped off the ground with fatigue, but who also may exper­i­ence anxi­ety from time to time. Scutellaria later­i­fo­lia — The men­tally exhausted — this herb gives your brain and body the nour­ish­ment they need to feel less over­whelmed. This list is not exhaust­ive — there are so many more herbs, that are used alone or in com­bin­a­tion for­mu­las to safely get you out of the doldrums and feel­ing your best. As you can see, herbs are very unique and have the deep capa­city to move and heal. As natur­o­path­ic doc­tors are trained in herb­al medi­cine as well as phar­ma­co­logy, we know which herbs to use and in which com­bin­a­tions that will not inter­act with your med­ic­a­tions but get you back to the life you need to live!